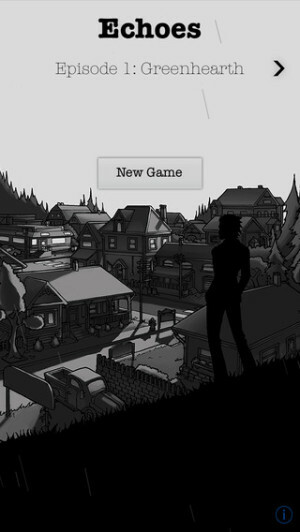 Part game, part interactive comic book, Echoes grips players with its suspenseful story line and unique style. This episode feels too short, and though you do unlock additional play, replay value is limited. Episode 5: The Dam brings us back to the nightmarish town of Greenhearth, where detective Ricky Fox lost his career, his wife, and his sanity. And this time, he’s got nothing left to lose. 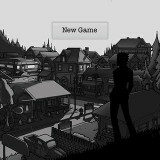 Echoes is an interesting app that is part game and part interactive storytelling. You play as Detective Ricky Fox, who has come to the small town of Greenhearth to investigate the death of an old friend. As the investigation twists and turns, it soon becomes apparent that his friend did not die a natural death. In the early episodes, you play in flashbacks from an obviously frazzled Ricky’s fight to get everything down on paper before it’s too late. As Episode 5 begins, you declare yourself the victor. But clearly your victory has come at a price. Though you have regained control of your body by overpowering the three other souls who have been merged with you via the mysterious bell that has led to the tragedies that have occurred since you first arrived at Greenhearth, the others still view for control. Your wife has been taken, and overtaken, by a monster whose goal is terrifying. You must stop him, before it’s too late – and you must hope against hope that there is some way to get your wife back. Like the previous episodes, you’ll play as Ricky Fox. But in Episode 5, you also have the voices of three other characters inside you. You’ll be able to access them for help with certain events, but usually at a price. Overall, the format remains the same as in previous episodes. You’ll get a small piece of the story, and then you must investigate and interview in order to piece together what happened. The investigate portions consist of looking around various locations to find objects that might be of use to you. This can be quite challenging, mainly due to the graphics of the game, which depicts everything in a black and white sketch design. Because objects aren’t in full detail, they can be difficult to uncover. The interview portion involves first deciding who you want to interview, and then what questions you’d like to ask. This is done in list form. When you decide you want to interview, you are given a list of people to choose from. Once you’ve chosen a person, there is a list of questions you may ask. It’s very guided, as the true function is to uncover the story, so there are generally just a few questions you can ask, or none at all if that person is not useful at this part of the story. Though there can be a bit of monotony going through the list of people and places is you get stuck, this episode offers fewer locations and people than previous episodes, so it all flows rather quickly. Echoes: Episode 5 is a game that works because the story works. The graphics are old school and a bit grainy, giving the feel of a retro detective movie that fits well with the story. Though it’s much heavier on story than actual gameplay, it gives you opportunities to work things out for yourself rather than spoonfeeding you a completed story line. Once you’ve finished the episode, you unlock the ability to play as other characters. Though the story remains essentially then same, playing through the other characters gives a greater understanding of their personalities and motivations.